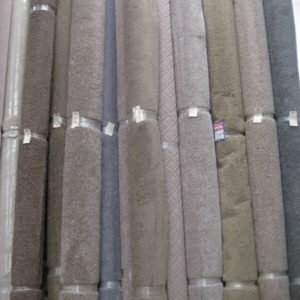 Bring in your carpet remnants or select from our wide range of carpet remnants and get the edges overlocked – No Appointment Necessary. 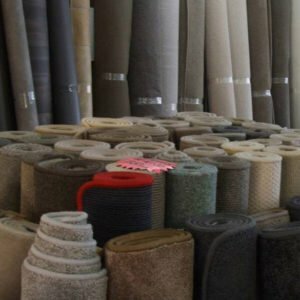 At Rugs & More we cut & straighten new carpet remnants/off-cuts to create custom made carpet rugs and mats. 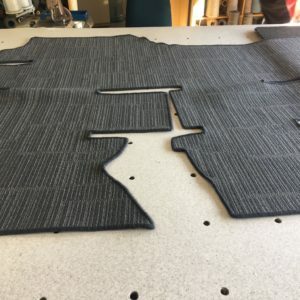 We cut, size and shape as you need and overlock the edges to give it clean & quality finish. 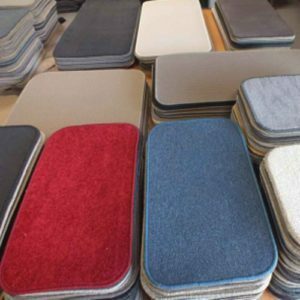 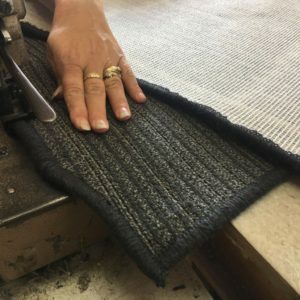 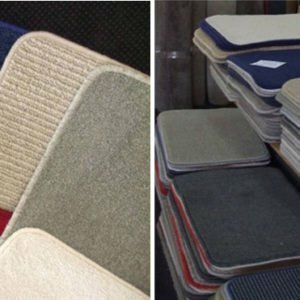 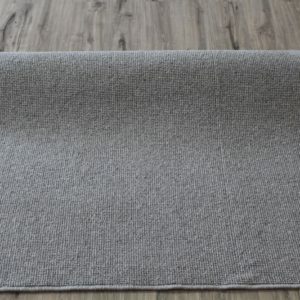 We can customise to your needs to turn your carpet remnants (or you can choose from our wide range of Remnants) into Rugs, Mats, Round Mats, Hall Runners, Fire Surrounds and Full Room Carpet Squares as per your measurements- you name it & we do it all! 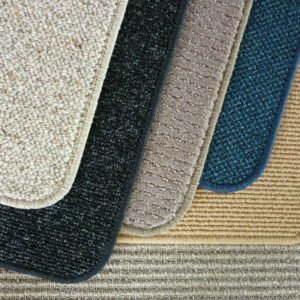 * Basic overlocking costs only $7.50 inc GST per running meter, which also includes basic cutting & straightening of your carpet off-cuts. 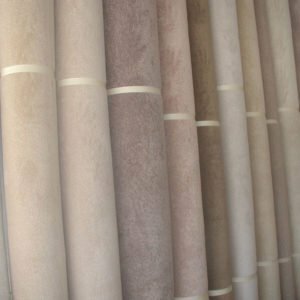 * Additional labour cost may apply for large items and irregular shapes. 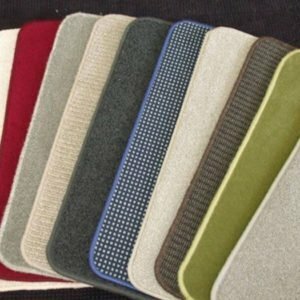 Email us or call us to discuss your needs.